A staple since 2011, there will be no coffee variant this year. While there will be a coffee barleywine variant for the first time ever. Using Intelligentsia beans, the beer aged in 4+-year-old Heaven Hill barrels before the beans were added. While labels had been approved for a wide variety of variants, some did not end up making their way into bottles. Horchata, Neopolitan, and Coffee are the three variants that didn’t make their way into this year’s lineup. A last-minute addition of a variant with currants also didn’t come to fruition. One new beer that wasn’t originally talked about is the Midnight Orange variant that will feature orange zest and chocolate notes. 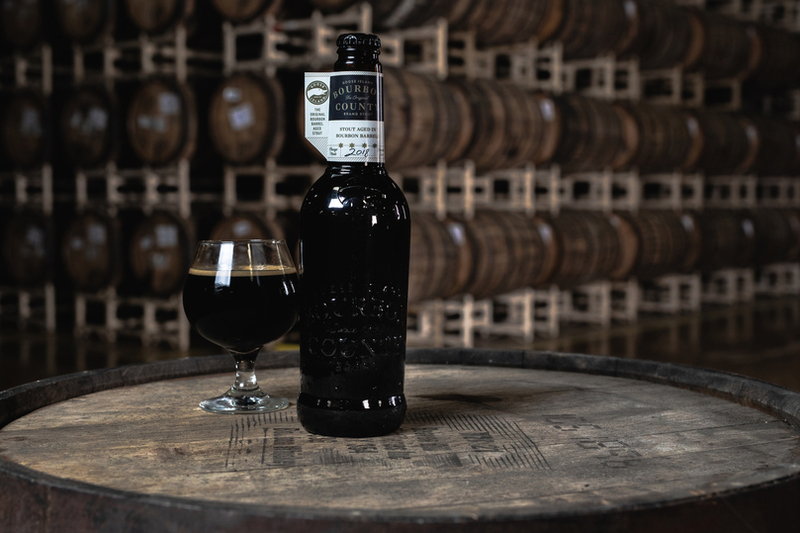 Here’s the full line-up of what will be released from Goose Island on Black Friday. The original that as Jankowski said, ““It ain’t broke, and we didn’t try to fix it.” Aged in Heaven Hill barrels, this original base beer will feature notes of cocoa, caramel, almond with the underlying tones of tobacco and leather this beer is known for. Following the success of the Reserve variant in 2017, Goose brings it back this year and ages it in 12-year-old Elijah Craig bourbon barrels. The bourbon from the barrels was awarded “Whisky of the Year” award in 2017 by Whisky Advocate. Expect to get the same notes from the base beer with more flavor emphasis on the barrel. People seemed to like Vanilla Rye from back in the day so it made sense for Goose Island to bring back this variant, albeit slightly different from the first version. Madagascar vanilla will really highlight the marshmallow notes that the style of beer is known for. A creamier mouthfeel, expect vanilla to be one of the most sought after variants of this year’s lineup. 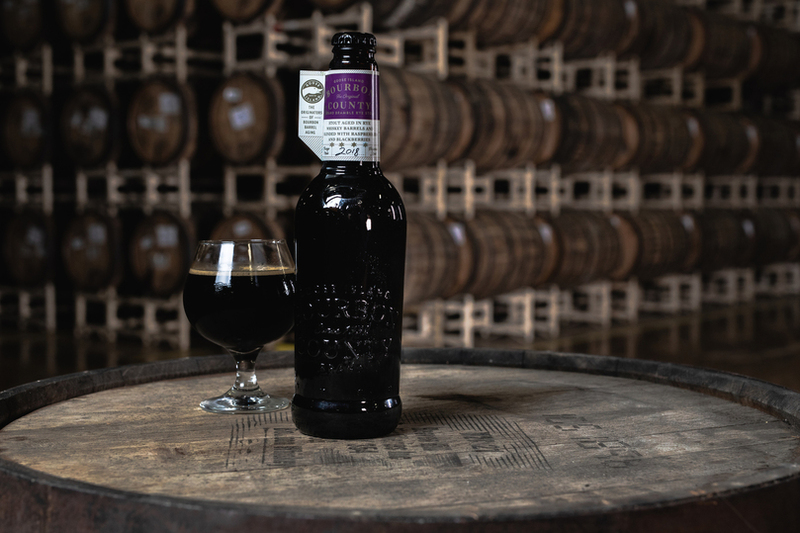 Rye whiskey barrels are used and the base bourbon county stout beer receives an addition of raspberry and blackberry juice and puree. This beer will provide a variety of flavors that include the fruitiness from the berries, the chocolate, and coffee from the base beer and the rye barrel. Using Intelligentsia coffee beans, this is the first release of Coffee Barleywine for Goose Island. The beans are added just before packaging to create a bolder aroma and flavor. While Barleywine has typically been one of the lesser popular variants, expect the addition of coffee to drive interest in this year’s release. Assuming that Michael Scott helped Goose Island name this beer, the variant flew under the radar until the official announcement. This is a new variant for the lineup and will feature orange zest and the chocolate notes Bourbon County is known for. My first thought is the flavor will mimic those chocolate oranges you always got as a gift but never opened. I am excited to try this new flavor of Bourbon County since it’s something that hasn’t been done in the past.